The following has been excerpted from an informal conversation on April 24, 2016 with about six people present. 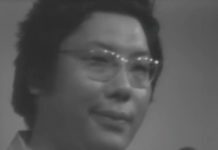 OTR: Trungpa Rinpoche — now there was a real lama. Even Kyabje Dilgo Khyentse Rinpoche was devoted to him, and there were not many living lamas to whom Kyabje Dilgo Khyentse Rinpoche had devotion — Karmapa, Dudjom Rinpoche, Penor Rinpoche, Trulshik Rinpoche, Trungpa Rinpoche, Sakya Dachen Podrang and Dolma Podrang, Tulku Ugyen, Kalu Rinpoche, later Khenpo Jigme Phuntsok. 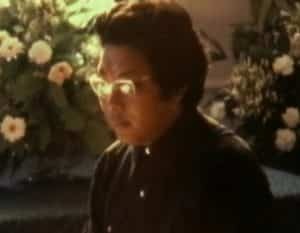 Even now there is nobody who has really overtaken Trungpa Rinpoche as far as planting the dharma in the hearts and minds of students in the West. One time Kyabje Dilgo Khyentse Rinpoche was giving a teaching at Dorje Dzong in Colorado. 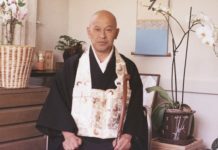 There were about a thousand people there receiving teachings, and Trungpa Rinpoche was also there right in the front seat just drinking sake and listening to the teaching. 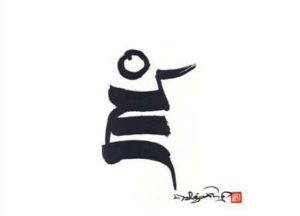 Then suddenly Trungpa Rinpoche asked for paper and a pen and he wrote something that he sent up to Dilgo Khyentse Rinpoche who was giving the teaching. Dilgo Khyentse Rinpoche looked at the note, put it on his head, put it under the table and continued teaching. Later I (OTR) went up just to clear Dilgo Khyentse Rinpoche’s handkerchief, mala, and so on. And then I saw the note and looked at it. The note read: “Not too many words, but abundance of meaning, please.” Something like that. DJKR: How many family members are there in Halifax? 600, 700 — something like that? I was just saying (to OTR) how amazing it is what Trungpa Rinpoche achieved. If you hear that many Chinese received teachings from such and such a Rinpoche, that’s not that surprising because China has hundreds of years of Buddhist history. America had nothing, no Buddhism at all. But then Trungpa Rinpoche says to these 600 families, 700, “Let’s go to Halifax.” They all went. And they’re still there. They’re still there!! (DJKR’s tone rises in amazement). OTR: Those who were doctors and lawyers in America went to Halifax where they even swept floors, because there was really nothing there. DJKR: Halifax is like the Takila of Canada. There is really nothing there. Have you been? Oh, it’s a terrible place. There is nothing there. (OTR now talks in Tibetan with another Tibetan tulku who was also present during this conversation). DJKR: OTR and he are talking about Trungpa Rinpoche’s lineage connections  with the Karmapa lineage, with the Sechen Kongtrul lineage, and all of that. OTR says he is sad that the Sakyong is not continuing the lineages, teachings, style, and nuances of Trungpa Rinpoche — outer and inner. It’s a big loss. DJKR (to a Chinese student present during this conversation): Trungpa Rinpoche’s Sun Camp model is something that’s so important. I think China must do it, gathering kids in this way. OTR: I actually went to eat oryoki food. It’s like being born in the hell realm (laughs). DJKR: These Japanese models are actually quite good. I was just listening to Basho’s poetry. There are a lot of things to learn from that. 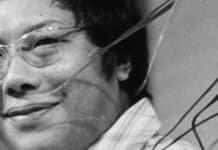 OTR: Trungpa Rinpoche did so many things that are quite important — like even just small gatherings for afternoon tea or a party with just a few people. But the banners still had to be hoisted, everybody had to dress properly. I think those things are really important. DJKR: Especially for younger people, this is really good. When people do tsok (ritual feast) they should do that. OTR: Kyabje Dilgo Khyentse Rinpoche also considered Trungpa Rinpoche a very great scholar, and he proudly claimed Trungpa Rinpoche being so learned was due to Sechen Kongtrul Rinpoche. There is a book written by Jamgon Kongtrul Lodro Thaye, The Encyclopedia of Knowledge that was three volumes in Tibetan and has now been translated into English. Kyabje Dilgo Khyentse Rinpoche told me that Trungpa Rinpoche received this from Sechen Kongtrul Rinpoche, that Trungpa Rinpoche read this book so thoroughly, and that it transformed him. After Jamyang Khyentse Wangpo requested Jamgon Kongtrul Rinpoche to write a curriculum for the Dzongsar Shedra, the contents of this work just appeared in Jamgon Kongtrul Rinpoche’s mind. And Jamyang Khyentse Wangpo said this work had to be one of the main Five Treasures of Jamgon Kongtrul Rinpoche. 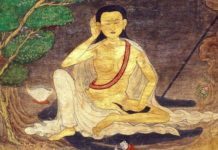 In his biography Jamgon Kongtrul Rinpoche later wrote that this work would never have happened if not for Jamyang Khyentse Wangpo’s blessings because he never really wrote it. It just happened: As he wrote one sentence, the next sentence just appeared in his head. 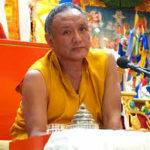 DJKR: Jamgon Kongtrul Rinpoche is very special. I realize that more and more with the Rinchen Terdzod. So special. Very, very special. OTR: The story of these two (Jamyang Khyentse Wangpo and Jamgon Kongtrul Lodro Thaye) is unbelievable. You would think it’s a fabrication. But if you really know how to think about it properly: Even though there are big shots and really big guns like Longchenpa, Sakya Pandita and others, as far as sheer productivity goes, none of them can beat these two guys. OTR: And what they did is not like a Ph.D research. They received the texts, practiced then, made careful notes of the guru lineages of each. Completely authentic. If there was even a little bit of doubt, they didn’t include those texts. DJKR: Ah … these two … They have done so much. 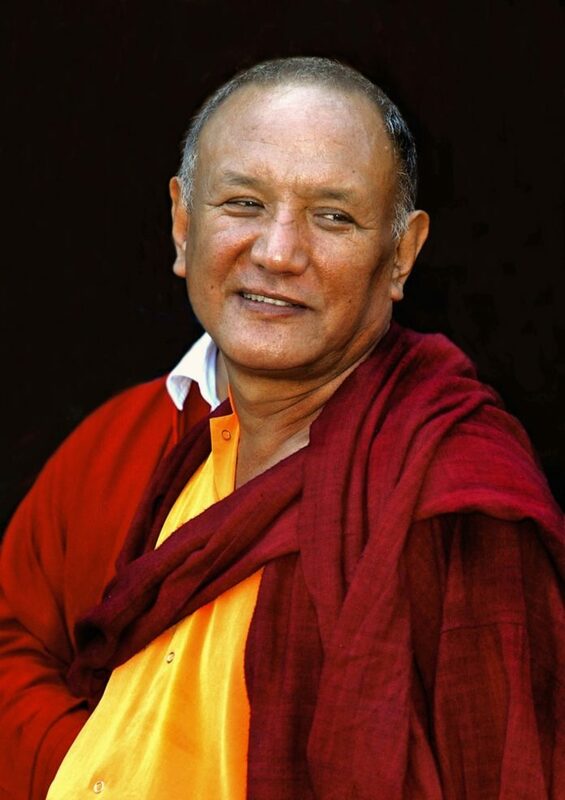 *The Guru Yoga of Sechen Kongtrul that OTR is referring to is The Sun of Wisdom. Reading this wonderful conversation between Orgyen Tobgyal Rinpoche (OTR) and Khyentse Rinpoche (DJKR), this comment from OTR hit me between the eyes. Reading this was like finding an oasis after spending many years in a barren desert. The desert is the heavy lid (sorry, another analogy…) that has been imposed on students of Trungpa Rinpoche by Sakyong Mipham Rinpoche (SMR) and those who are close to him not to talk publicly about how the Sakyong has undermined the teachings of his father and of the Karmapa lineage. So many of us have chosen to leave our “home,” formerly known as Vajradhatu. Some of us have chosen other teachers; all of us continue to see CTR as our root guru. We talk to each other, and increasingly we have been teaching CTR’s dharma without asking permission from Shambhala International. And the past several years a few groups have formed for practice and study. We do not want CTR’s dharma to be lost. But as for speaking publicly about how SMR has undermined his father’s teachings and, in general, the teachings of the Karma Kagyu, we have not spoken. We have been muzzled, and we have muzzled ourselves. It is unspeakably sad. I thank you, Orgyen Tobgyal Rinpoche and Dzongsar Khyentse Rinpoche, for speaking the truth so publicly. When I came to the end of reading this transcript, I thought I would find at least a few comments, but there was not a single one! Why? Are we still afraid to speak out? What are we afraid of? Please, fellow sangha members, speak up, and continue to speak up. What do we have to lose? I had the pleasure of serving Orgyen Tobgyal Rinpoche during his visit of the Sakyong empowerment. 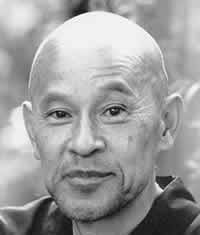 Perhaps Rinpoche needs to examine his energies of happy and sad as to teachings of lineages and buddhas, which are empty in nature. I don’t know who Seonaidh of the Celts is but Michael of the Jews thinks that to try to undermine people’s discussions of their experience and of skillful means with the “its all empty” argument is both to confuse the two truths and to disrespect human experience. Orgyen Tobgyal Rinpoche is a revered Nyingma lama known for his directness, profundity, and near perfect memory. He was born in Eastern Tibet in 1951, the eldest son of the third Neten Chokling Rinpoche, and resetted with his family in Sikkim in 1959. He is currently based in Bir, India and travels throughout Europe and Asia teaching the dharma. He received teachings from Dzongsar Khyentse Chökyi Lodrö (predecessor of the current Dzongsar Khyentse) and Dilgo Khyentse Rinpoche. He also attended Dilgo Khyentse Rinpoche for many years, and in that capacity, accompanied Dilgo Khyentse Rinpoche to Boulder in 1982. During that very important visit, Khyentse Rinpoche bestowed the Sakyong empowerment on Trungpa Rinpoche. Orgyen Tobgyal is also an actor, and played the role of Geko (master of discipline of the monastery) in Dzongsar Khyentse Rinpoche's film The Cup (1999). He also played the role of yogi/teacher to Milarepa in Life of Milarepa -- Part I, a film directed by the current Neten Chokling, and was the artistic director for this movie.